It is automatic day light saving time for regular evening walkers in our neighborhood. It gets dark in the approaching winter days at about 5.45 in the evening much earlier from the sunset at 7.45 in deep summer. All the regulars emerge from their dens after 4.30 seeking to soak some evening sunlight and grab their constitutional two mile walk. One person who emerges on the scene is Mr. M.S. Bhalla the savior of stray dogs in our neighborhood. He comes out pedaling his bike with food in a cloth bag for the stray dogs that abound in our area. He laughs when I tell him that he has more friends than anyone else in Chandigarh or Panchkula. 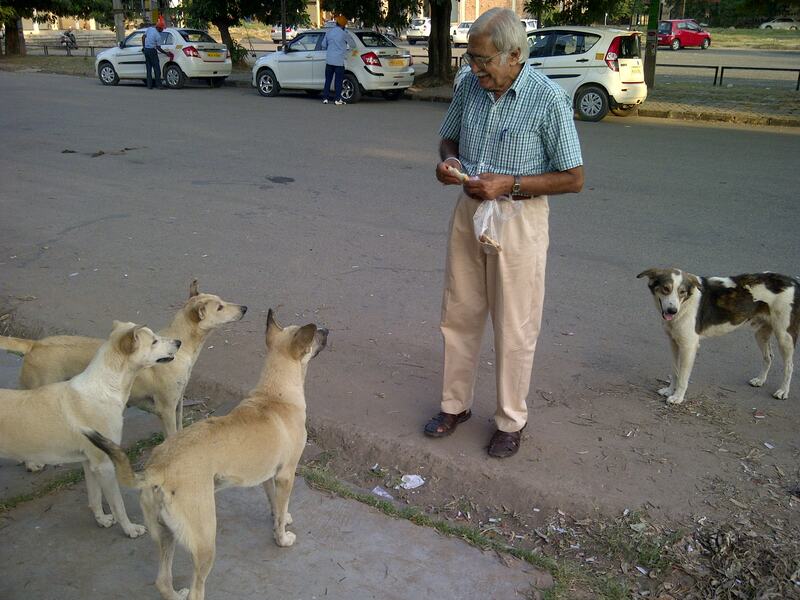 He has an admiring and constantly expanding mob of dogs waving their tails in high expectation waiting for the food that Mr. Mohinder Singh distributes almost every evening. 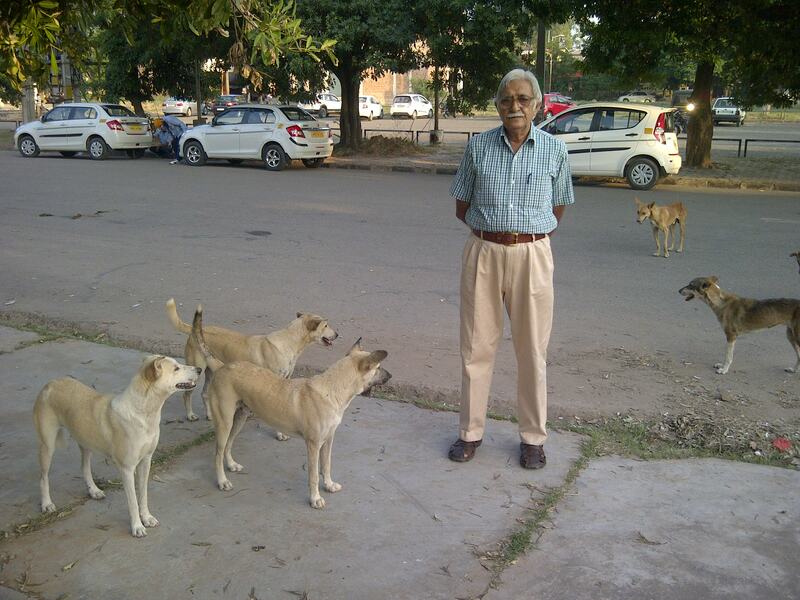 Most people are afraid of these dogs and consider them a nuisance but Mr. Mohinder Singh has learned to love them. He has retired from the Indian Railways. He has been feeding the dogs for many years now.